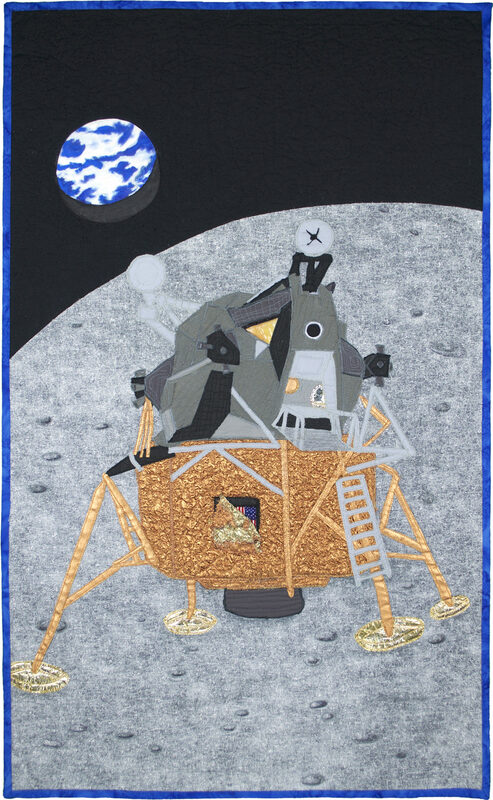 This quilt represents the landing of the lunar module combined with the earth rising over the moon. As a teen, I saw the lunar module at the Kennedy Space center and was fascinated by the thin coppery covering that reminded me of foil. 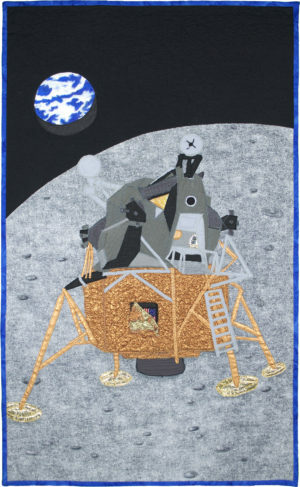 Curved piecing for the moon and earth, texture magic for the module, raw edge applique and free-motion quilting. Cotton and batik fabric, lame’ fabric, emergency blanket, copper spandex, clear vinyl and a bit of fabric paint.